﻿ Chalet Nivale Preserve - Ohio. Find It Here. Chalet Nivale is a 106-acre nature preserve within the Arc of Appalachia Preserve System. The preserve features three hiking trails that are open to the public every day of the year from sunrise to sunset. 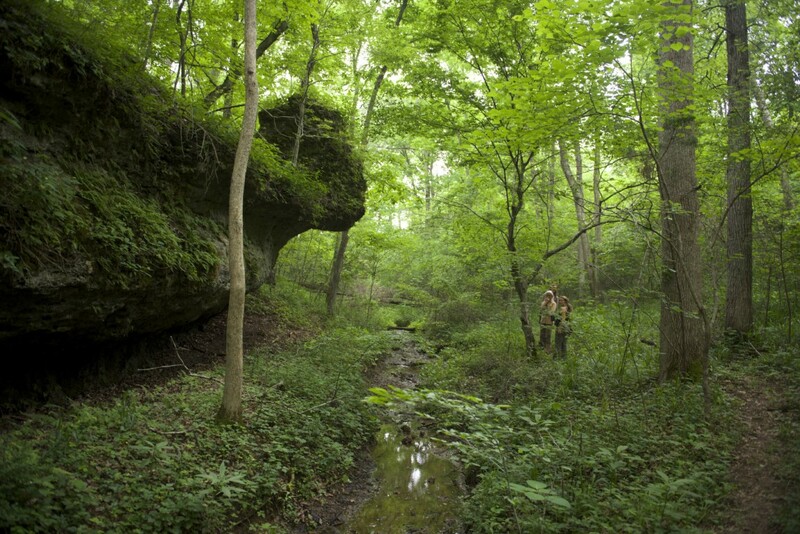 Two loop trails meander through the low floodplain created by two short tributaries of Scioto Brush Creek that have sculpted the bedrock into mossy slump blocks and intriguing outcrops, bounded by vertical cliffs. A third trail dissects a meadow that lies like a low bowl  surrounded by a rim of Appalachian hills. The trail provides pleasant panoramas of the surrounding hill country, especially during fall color season.